There’s almost always an awesome film coming out on Blu-Ray or DVD each month, so which ones should you pay attention to this month? We had the pleasure of sitting down with Director Dan Scanlon and Producer Kori Rae from Monsters University, the latest feature from Pixar. Directed by first-timer Dan Scanlon, Monsters University reunites the beloved voices of Billy Crystal, John Goodman, and Steve Buscemi while introducing a powerhouse supporting cast! It is my pleasure to report that real Pixarian heart and humor are back for summer 2013. What are the Must-See movies this June? Man of Steel, of course! But what about the rest? Read more to find out our picks for each week. Disney has released a final clip for Monsters University, which arrives in theaters on June 21. The animated sequel features the voices of Billy Crystal and John Goodman. 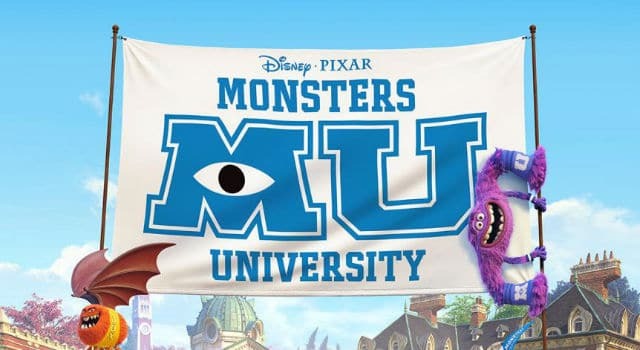 Monsters University has revealed a final full trailer in hopes of enrolling as many viewers as possible before it’s theatrical release on June 21st, 2013. Enter to Win PARENTAL GUIDANCE on Blu-ray! MONSTERS UNIVERSITY UK Trailer Brings the Hype! Blu-Ray/DVD Round- up 10/2: THE PRINCESS BRIDE 25TH ANNIVERSARY, DARK SHADOWS, PEOPLE LIKE US, NEW GIRL and more! It’s time for another Blu-Ray/DVD Round-up! Check out the latest releases! See which ones you should skip, rent or buy! This week I think the big releases this week are The Princess Bride 25th Anniversary Blu-Ray, Dark Shadows, People Like Us and New Girl! When Harry Met Sally 2: Grampires!